John spent the next four summers at Heartland Park, Hallett and Mid America Motorsports attending HPDE’s. During this time, his better half, Tricia, become a track widow. She was encouraging of his habit but stressed the need to invest in safety. Her motto was to have fun but be safe. To that end, his best investment ever was a HANS device and Simpson Hybrid head and neck brace (shameless plug). At this point, it was time to give back to “track rats” community and Kris Loveless offered up the opportunity to attend the Audi Club Instructor Training School. Since then, John has instructed at Circuit of the Americas, Heartland Motorsports Park, Hallett Motor Racing Circuit and Mid America Motorsports. 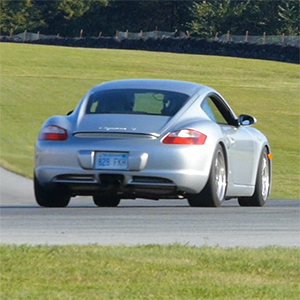 John has had the great fortune of mentoring at numerous BMW and PCA Instructor Training Schools throughout the Midwest. John has also had the opportunity to work behind the scenes at HPDE’s by either co-chairing or being the Chief Driving Instructor. His mentor for that role was the late, great Kirk Kiloh. John’s current role with the BMW Car club is Driving Events Coordinator but his passion is Tire Rack Street Survival, which he shepherds for the club. The next school will be on September 29th (shameless plug for the event) Track down John if you have a teenager driving or want to be part of an effort to save teenage drivers’ lives.